Is your dog’s barking driving you and your neighbour's crazy? There's no doubt a dog that barks incessantly can drive you and your neighbours mad and while some breeds do bark more than other it’s not the only factor. The dog you choose from the noisiest terrier breed may barely bark at all, while an individual from a “laid-back” breed may bark the house down. In most cases, changing barking behaviour is possible, but addressing the symptoms alone won’t do – identifying why your dog is barking is vital to putting in place a successful treatment plan. 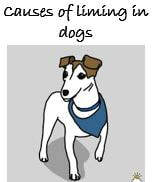 ✱ Attention-seeking barking If your dog’s barking to get your attention, it’s best treated by ignoring them when they’re behaving badly and acknowledging them calmly and quietly when they’ve stopped. Beware that there may be a transitional stage where your dog throws temper tantrums and increases and intensifi es the barking. If you don’t acknowledge them during this phase and ride out the storm, you’ll be glad that you did. If your dog is barking for attention, review your overall relationship and focus on setting boundaries, creating structure and prioritising good manners. ✱ Boredom/frustration barking Dogs that bark out of boredom or frustration generally don’t have enough physical or mental stimulation and combating their behaviour can be as simple as ensuring they get regular exercise and spend time in an enriched environment (creating this usually involves their favourite things and can include scattering their dog biscuits on the pavement; packing a Kong toy with soft, irresistible food; placing high value treats in a treat ball; and spreading their meal across the day rather than one meal at a set time). ✱ Separation anxiety barking/whining/ howling Separation anxiety barking, whining or howling most often occurs when owners aren’t home and therefore many don’t know their dog is distressed in their absence. These dogs lack suffi cient coping skills when left alone and need confidence building and desensitisation exercises to help them become happier about staying home alone. 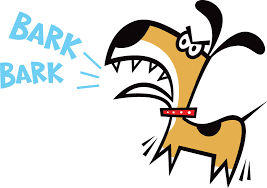 To help ease this type of barking, ensure your dog spends short periods outside alone while you’re home; help them feel positive about being outside (by providing treats, etc); reduce the amount of physical attention you give them; and encourage them to relax. ✱ Fence line barking Dogs that bark near the fence line are generally distracted by noises such as a neighbour, a person walking past the house, etc, and they can continue their “nuisance” barking well after the distraction has gone. This type of bark shouldn’t be ignored – instead shift your dog’s focus from the distraction immediately. If you know your dog’s going to react, interrupt them by saying their name and calling them to you. When they respond before barking, reinforce their behaviour generously with delicious treats. Avoid being stingy by only offering one treat, as it won’t do the trick; you’re rewarding your dog for not reacting to these noises and the aim is to help them to not react or be less reactive when you aren’t home to train them. Dogs that bark in this manner should be kept away from windows and doors so they don’t have an opportunity to get better at barking. 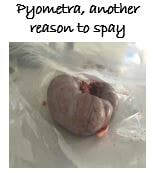 As well as the above, dogs can also bark in reaction to scary sounds, other animals, etc, or due to compulsive barking. Determining the cause allows you to take the best course of action but in some breeds barking is so ingrained it can only be reversed by investing a generous amount of time or seeking professional advice. Don’t forget to be consistent with your training and don’t take their good behaviour for granted – they have made the right choice and remained “quiet”, so if you like it, reinforce it! If you’re not sure if your dog is barking, howling or whining while you’re away, ask a neighbour. You see that your dog is limping. What could be the cause of this lameness? There are actually many causes of lameness, and your veterinarian will need to examine your dog to discover why he is limping or not using the leg properly.